Linden Leaves In Love Again moisturising lotion 200ml! An easily absorbed lotion formulated with sweet almond oil for pure skin hydration, in a sensual blend of neroli, vanilla and sandalwood to promote a feeling of bliss and contentment. Enriched with natural kiwifruit, harakeke and rosemary extracts. 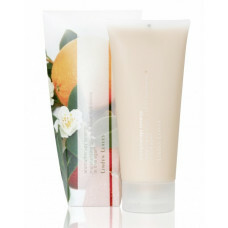 Enriched with natural kiwifruit, harakeke and rosemary extracts. neroli, vanilla and sandalwood. Free from parabens, mineral oil and sodium lauryl sulphate.